When was the last time you yelled at your child? 5 minutes ago, an hour ago, this morning? Or was it so long ago that you really do not remember when you last raised your voice at your baby/toddler/child/tween/teen. I belong to the former category of people. Us mere mortals who succumb to the triggers that our children seem to pull so regularly. My child does something he shouldn’t, my child screams, so I start yelling in an effort to out-scream him. Easily done. When was the last time all that yelling actually worked? I can’t seem to remember it ever having the desired effect. All it has ever resulted in is massive pangs of guilt afterwards and doubts about my parenting abilities. You’d think I would have learnt my lesson by now. I have. I have taken The Vow of Yellibacy. It means I will not yield to the temptation of yelling. Even when my buttons are being pushed and it feels as if yelling is the only solution. 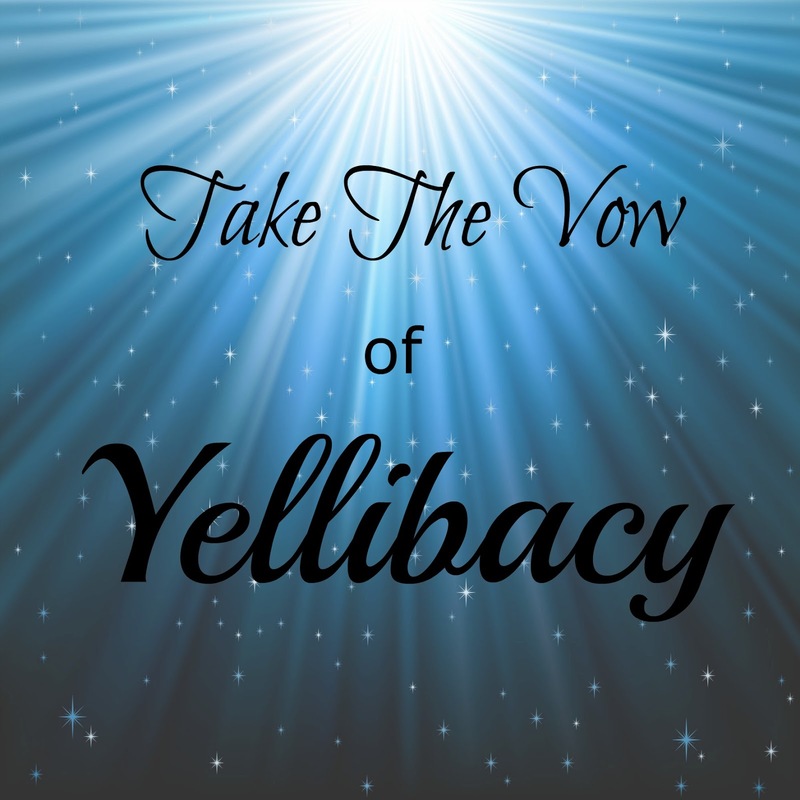 Here are a few tips and tricks that can help you adhere to The Vow of Yellibacy should you too wish to take it. I highly recommend it; the feeling of calm you subsequently feel is unbeatable. This calls for observation and introspection. Try and see if there is anything in particular that makes you yell and if there is a pattern to your yelling. Do you yell more when you are tired or sleep-deprived? Or when you have had no adult conversation throughout the day? Could it be hormones or hunger or stress? Once you have spotted the triggers, you can work on avoiding them. Or develop an effective strategy to counter them. Something as small as making sure you stick to your bedtime could make all the difference. This is a really great way to stop your triggers from developing to bursting point. It calls for nothing more than self-care. Recognise that self-care as a parent is not selfish. It is actually vital for a harmonious family life. Do what you must to make sure your emotional cup is full. Take up a hobby, have a night out, exercise. Or fill your cup, quite literally, with a hot beverage and find the few minutes it takes to enjoy it. Even if it means sticking your child in front of the television for a while. Now this is the most important bit. You have identified your triggers, worked on improving your emotional balance, and still you find yourself faced with a situation that demands that you yell. This is the real test. These are things that work for me. Try and see if they make you stop before you start yelling. I have a feeling they will. 1) Make yourself look at your child’s face as you contemplate yelling. See past the tears and tantrums and you will see the sweet-natured angel that you love so dearly. Enough to stop the yelling in its tracks. 2) Big bear hugs. There is nothing better than a warm hug to make you forget all your worries. Sometimes all it takes is one big bear hug, even when you think they don’t want or deserve it, to change the mood and make everyone feel better. Be the adult that you are. One step is all it takes to envelop your frustrated child in your arms. 3) Take a deep breath. And count to ten. It will give you time to think about the situation before you engage in the yelling. It will give you time to rationalise and come up with a calmer response. 4) Sing. It perhaps sounds silly, I tell you now that it is. But singing loudly is so much better than yelling loudly. Pick a song that your child likes and sing it. The sillier the better. If they are young, your children might join in and that diffuses the tension. Your teens might think, well, they think you are batty anyway, so nothing much has changed there. 5) Make your own calm jar. Then put it to good use. It is great not just for kids but for grown-ups too. So there you have it. Strategies to help keep that Vow of Yellibacy we have taken. To become peaceful, gentle parents and to raise happy children. Great post. I find sleep deprivation contributes hugely to me being prone to lose my temper. 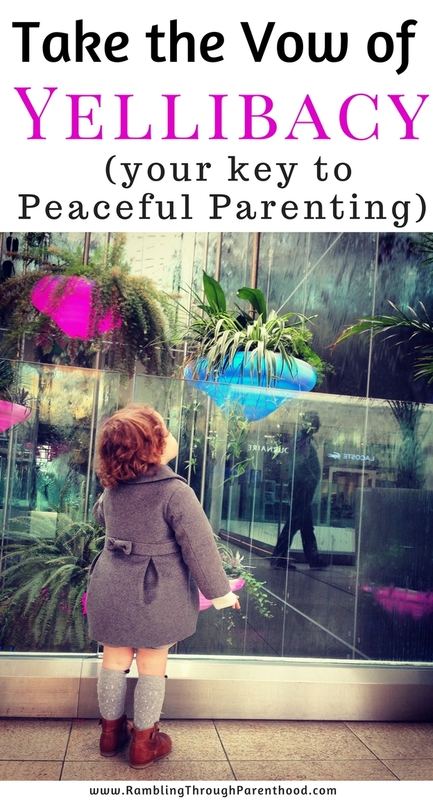 These are some useful steps to keep in mind as we do as parents need some moments to ourselves and when their tantrums come, remembering the techniques to diffuse our own frustration. As you say, the yell never works. I've never actually shouted at a child but my parents and noone in my family shouts (we're all teachers/teaching assistants ICT support within schools) so it was always a 'control' over your own anger when dealing with kids. Such a great idea. I always seem to be shouting at the moment. I am really going to try and do this because I know it would make a more harmonious home in the long run. Thank you for sharing. I really like the idea of a calm jar - sometimes everyone can get overwhelmed! I don't want Boo to yell and I think the best thing is to set a good example!